How do you describe something as complex and unique as the flavor of a fine cigar? Any cigar enthusiast will tell you that discerning and appreciating the flavors of any cigar are much like drinking a glass of wine. And much like a fine wine, the final taste and overall flavor of a cigar depends on much more than the nature of the completed product. But where do cigars get their unique taste and flavor profiles? The answer to this might not be surprising in its complexity. The flavor profiles of a cigar are a result of a vast amount of variables. From the location and soil in which the tobacco is grown, to the curing methods used, all the stages of cigar-making will influence the final taste and body. Think of the wrapper like a fancy dress for an attractive woman — it’s not THE total sum of this lovely being, but it accentuates the beauty even more. It lends texture, pizzazz, and appeal. A properly rolled and cured cigar will have a wrapper with an even hue and very minimal outer blemishes. An “oily” look to the wrapper leaf indicates that the curing process was carried out properly, and also that the cigar will not burn overly hot, but remain relatively cool. The largest percentage of tobacco in any given cigar is in the filler portion. Essentially the “meat” of the cigar, the variety of filler tobaccos used and how they are rolled in will also have major impact on a cigars final flavor and body. While the binder leaves’ primary job is to provide a steady “backbone” between the wrapper and filler, it too has effect on the taste of your cigar, though probably less than either wrapper or filler in most cases. 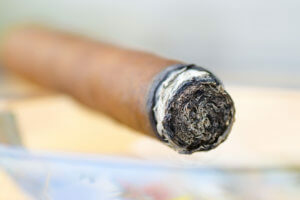 Cigar tobaccos hail from regions all across the globe including Cuba, the Dominican Republic, Nicaragua, and yes, even Connecticut, USA. 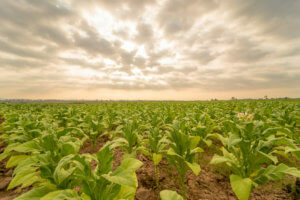 The region in which the tobacco is grown has great influence over the final product, much like the the final tasting notes of wine are impacted by soil quality and climate just as much as the fermenting process. The flavors of a cigar are also influenced by these factors. Depending on whether your stick contains leaves grown in Nicaragua, The Dominican Republic, Honduras, or elsewhere, the climate aspects of each location, the soils in which the tobacco was grown, how it was cured, how it’s rolled, and the type of seed from which it originates all play a major part in the final taste, body, and flavors of a cigar. Even the way the cigar is burned will affect the flavor. Cigars are designed to burn evenly and the tobaccos used inside the cigar are arranged in specific ways to provide a specific, often eventful smoking experience. For example, a cigar might start off with a mellow taste that slowly grows stronger and eventually morphs and evolves to include entirely different tasting notes than the ones it started out with. This is the result of the different types of carefully arranged tobaccos burning as you progress through the cigar, revealing its nuances and complexities. If the cigar doesn’t burn cleanly and evenly you will not be treated to the blender’s intended smoking experience. If you find yourself enjoying a certain type of cigar over and over again, chances are it’s because of that particular cigar’s flavor elements – and all of the processes that went into making it. Cigar flavors break down into several different categories, and each category includes specific notes, hints, or tastes. Before we delve into the core flavor categories, you’ll want to determine the difference between mellow, medium, and full cigar flavors. These terms describe what’s known as the “body” of the cigar. The term “mellow” is probably pretty self-explanatory – mellow cigars tend to be the lightest smoke of the three – they’re typically subtle in taste and not heavily pungent. A cigar with a full body will yield a very strong and bold-tasting smoke, while a cigar with medium body will balance somewhere in the middle. This can sometimes be confusing, as the actual nicotine strength of a cigar is often described using these same terms – mellow, medium, and full. It is important to note that strength does not necessarily dictate flavor, and vice versa. Plant Flavors: a cigar that contains plant-like flavors may have hints of grass, moss, hay, tea, wood, and yes, tobacco. Cigars that tend to have a greener flavor are generally more on the mellow-tasting side, which can be the result of being cured for a shorter period of time. Some cigars are cured in cedar or oak-lined rooms, and this will also “color” the taste of the finished stick. 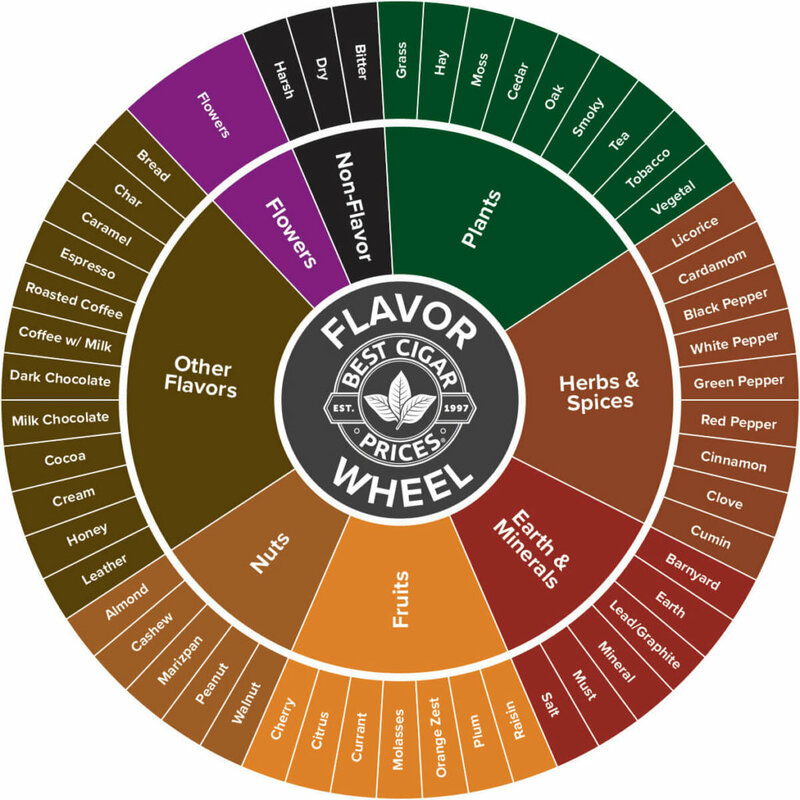 Spice and Herbal Flavors: spicy is also a frequent flavor you’ll run into when enjoying a cigar. Herbal or spicy notes include hints of licorice (anise), tea, nutmeg, cinnamon, cardamom, clove, black pepper, red pepper, white pepper, and even cumin. When people say a cigar is “spicy,” it generally tends to mean that it has full flavors with a hint of “bite.”Medium-to-full bodied cigars are commonly described as spicy, and some particularly rich natural tobacco flavors are sometimes described this way. Earth and Mineral Flavors: cigars that taste “earthy” tend to have elemental flavor components, which is often the result of the soil and the region in which the tobacco was grown and the fertilizers used. Earthy flavor components can be described as barnyard – meaning a complex blend of hay, earth, must, and grass, compost or dirt, and in many Cuban cigars, salt. Fruity or Sweet Flavors: while not the most prominent cigar flavor profile, some elements of fruit and/or sweetness can be found in some cigars. Cherry is one of the more predominant fruit ones, and tends to be very faint. Also included in this category are flavors recognized as apple, fig, and citrus. When it comes to the sweet flavor notes of a cigar, hints of vanilla, chocolate, and straight sugar cane are often cited, with the term “molasses”commonly used to describe rich, dark, and slightly sweet flavors. Roasted/Toasted Flavors: a surprisingly wide variety of cigars are found to have strong hints of almonds, peanuts, pistachios, and even marzipan, which would be a creamy, slightly sweet flavor. These characteristics usually have something to do with how the tobacco was cured. Some toasty cigar elements might even include a “smokey” kind of taste. The human tongue has 4 basic taste categories – sweet, salty, bitter, and sour. Any other flavors perceived will be a combination of these four, and could range from descriptions such as acidic, smooth, heavy, full-bodied, rich, or balanced. Also, taste and smell go hand in hand when it comes to enjoying food, wine, and cigars, so cigar-makers will also be concerned with the aroma the types of tobacco within the cigar have to offer, and your sense of smell will also assist in “tasting”your cigar. 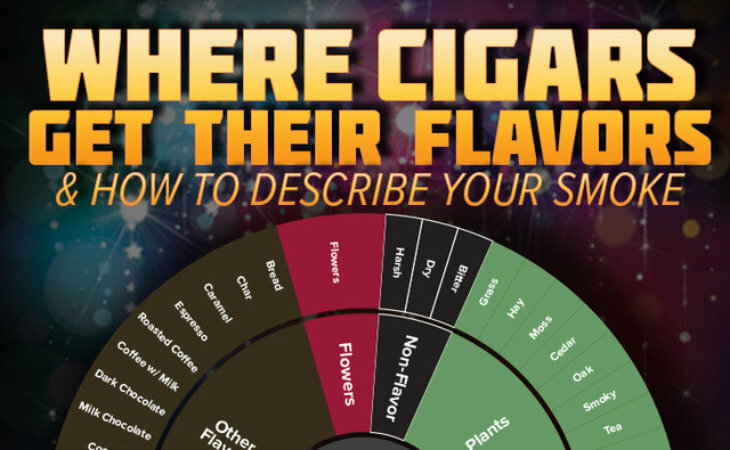 Determining and recognizing cigar flavors doesn’t have to be intimidating, however. In the end, we recommend you don’t get too scientific with your cigar and the flavors within – it’s still meant to be an enjoyable and relaxing experience. – As I mentioned earlier, the cigar’s burn will affect the flavor, so you’ll want to start off by making sure you’ve got an even light. 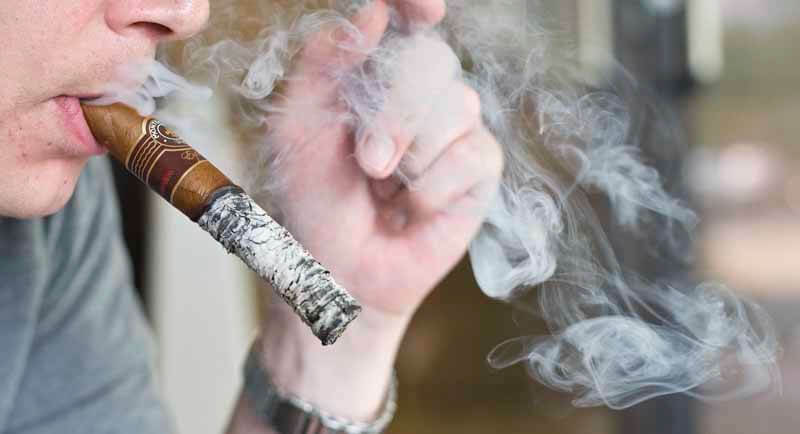 When lighting your cigar, the flame should never touch the tobacco directly, but should instead be held at a minimum of 1/8 to 1/4 inch from the foot. Draw the flame in gently by puffing shortly twice, followed by one long drag, until you’ve got an even burn going. Now you’re ready to begin tasting. – Draw gently on your cigar until you’ve got a nice full mouthful of smoke. Hold the smoke in your mouth. Gently swish it around your mouth, letting it hit your tongue and cheeks as if it were mouthwash. Once you’ve exhaled and let go of the smoke, you’ll notice distinct flavors and any complexity therein. – Don’t overdo it – Puffing too frequently or too hard will cause your cigar to burn improperly and make the smoke hot and unpleasant. Instead, puff gently every 1-2 minutes, and remember to rotate the cigar between puffs so that all sides continue to burn evenly. – When assessing your cigar’s flavor, start with your initial reaction. Is it pleasant? If you don’t care for the taste of a certain cigar right off the bat- perhaps it seems harsh or bitter – then it’s not for you. Period. – Retrohaling is the best method for getting the full cigar flavor experience. It’s really just a fancy word for exhaling through your nose to enhance the taste by pulling your sinuses into play. You’ll retrohale by allowing the smoke to rest in your mouth for a few moments, and then exhale through your nostrils slowly. This kicks your olfactory senses into gear and allows a more complete tasting experience. This a great method for more fully tasting all cigars, but keep in mind that bolder and fuller-bodied cigars will pack quite a punch when retrohaled. Start practicing slowly with mellow sticks and proceed with caution – I’ve seen many a beginning smoker’s eyes tear up before they launched into a nasally coughing fit upon casually attempting the retrohale for the first time. – If you’re going to savoring a beverage alongside your cigar, stick with water, especially for the first few puffs. This will keep your palate clean and allow you to better gauge the flavor nuances separate from anything else. While coffee and whisky are great for pairing with a good cigar, they’ll also dilute the cigar’s natural flavor experience. – It’s also important to cleanse your palate between cigars if you’ll be sampling several in a row. Apple juice is a good palate cleanser between cigars, and eating a piece of chocolate can help too. When tasting multiple cigars, common sense dictates that you want to always start with the lightest cigar first. In the end, to really and truly taste a cigar you’re incorporating the initial taste from your tongue to the finish through your sinuses, as the inhale can have different taste elements than the exhale. The combination of these two, coupled with taking time to slowly puff and sit back and enjoy the luxurious experience that is savoring a fine cigar, can yield a highly pleasurable and relaxing experience. Whether you’re experienced in the world of cigars or just beginning to discover your taste preferences, there’s a vast world of flavors to be enjoyed. BCP has the best selection of fine cigars, and we’re always here to help answer any questions. Now that you’re familiar with what gives cigars their flavor, how to choose a good cigar, and proper cigar tasting methods, the rest is easy. Sit back. Relax. And enjoy.